The treasure house of Knox castle is empty! Now conspiracy and war threaten the kingdom while mysterious noises and unexplained events fill the castle. As best friends Kaye, Reggie, and Beau search for the missing treasure, jealous knights plot to get rid of Kaye for good. Can Kaye find the treasure in time to save the kingdom? Or will he risk losing his knighthood forever? 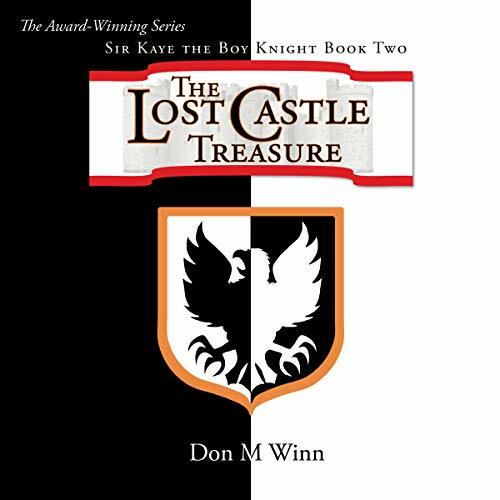 Join Kaye, Reggie, and Beau as they search for hidden clues, secret passages, a lost castle treasure, and their place in the world in this fast-paced adventure. Don does it again! Love this one as much as the first! I have a special love for Reggie. Always had a thing for the underdog. And Don really did such a wonderful job developing this character in this second installment of this wonderful adventure between Sir Kaye and Reggie. Here in this installment you see the development of loyalty and being excepted for who you are and embracing our differences. Also learning that true friendship means standing by that person when they are going through bad times and good times.